All professional artists or artists residing in the contiguous United States may apply. Artists will be asked to submit proposals for site-specific work to be temporarily installed and displayed in Chinatown Park. You will find Chinatown Park at Surface Road and Beach Street. A lovely oasis at the southern end of the Greenway, this one-acre linear park contains design elements drawn from Asian traditions and art work. Designed by Carol R. Johnson and Associates, it contains a serpentine walkway edged by bamboo within bright red sculptural elements and a unique fountain that suggests a waterfall and shallow riverbed. A section of pavement in Chinatown Park designed by California artist May Sun is patterned after a Chinese chessboard. The square within a circle pattern symbolizes heaven and earth in the Chinese culture. Running through the center of the chessboard is a “river” of stainless steel and colored concrete, depicting a map of Boston focused on Chinatown, South Station and the Fort Point Channel. Visit http://www.crja.com/parks/chinatown.html to learn more about the symbolism and meaning in the park’s design. Work in any medium will be considered and must be durable and suitable for outdoors with the ability to withstand the elements of a New England climate as well as interaction with the general public . Proposals need not be related to any past larger thematic work but should be representative of the artists’ particular point of view and should be based around the theme of Monkeys. 2016 will mark the beginning of the Chinese Zodiac year of the Monkey. In Zodiac mythology, the Monkey is tied to character traits of independence, enthusiasm, and an unscrupulous childlike personality. 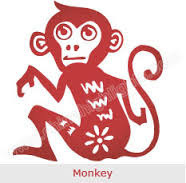 Additionally the year of the Monkey is connected to the element of metal which carries attributes of determination and intensity.